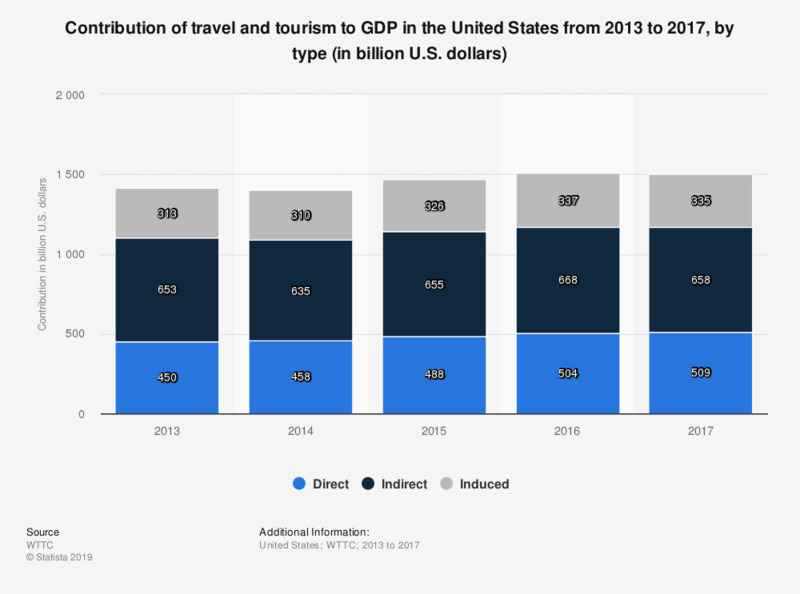 This statistic shows the contribution of travel and tourism to GDP in the United States from 2013 to 2017, by type. Travel and tourism directly contributed approximately 509 billion U.S. dollars to the U.S. economy in 2017. Statistics on "Travel and tourism in Ireland"